If you are a leader of a professional services firm, it is our hope that when reading this article, you may shake your head, scoff, marvel at our naivety, then perhaps nod in agreement and quietly recognise where we’re coming from. We believe it’s time for those working in professional services firms to stop treating the ‘client as king’. As we have examined in a separate Special Report, the ‘always-on’ culture still dominates the professional services sector, despite a significant cost to professional services employees and the organisations for whom they work, and that there is no empirical evidence of any benefits from the ‘always-on’ culture, to either the firm or to clients. In our Special Report, we outlined various strategies available to professionals to mitigate against this ‘always-on’ culture and we touched on another, more contentious strategy, which is to rebalance the client/advisor relationship. “I will sometimes have to get calls on Sunday nights. Sometimes, I have to do calls on Saturday mornings. So, the weekend is not sacrosanct. If the client needs me, I will generally take [the call]. And you know when the client needs me to be somewhere, I just have to be there. It is our belief that this devotion to clients is one of the primary causes of the detrimental ‘always-on’ culture found in many professional services firms, and by rebalancing the client/advisor relationship, firms can go a long way to reducing burnout. Let’s be clear: We are not saying firms should reduce their commitment to their clients. What we are saying is that it’s time for firms – and their staff members – to recognise that they don’t have to accept, without hesitation, the ‘bad intensity’ (having no control over their own work and lives and generally operating in ways that are inefficient) created by over-commitment. We often see the effect of this ‘bad intensity’ in our professional development work with our own clients. We have lost count of the number of times clients tell us that a participant has had to pull out of a training programme at the very last minute because a more important client meeting came up. Likewise, we see the anxiety etched on the faces of our training participants when we tell them that they cannot answer their mobile phone while the session is in progress. None of the behaviours illustrated by a ‘Trusted Advisor’ are detrimental to the client, but the behaviours exhibited by a ‘Pair of hands’ can certainly undermine the brand and status of the firm. We (and David Maister – author of The Trusted Advisor) would argue that Trusted Advisor behaviours are of a significantly greater benefit, since clients gain far more value when they are challenged than when their professional advisor obediently follows instructions. Clients engage consultants and advisors because they want them to share their knowledge, guide their decisions and challenge their thinking. What’s more, by pushing back when required (thoughtful disobedience) instead of mindlessly doing what they’re told, consultants eliminate unnecessary, fruitless work, to the benefit of both the client and the firm (whether the billable hour encourages those working in professional services firms to eliminate fruitless work is another argument altogether). Can it be done in reality? Yes, but leaders have to set the example. What clients want above all else when working with a professional services firm is value, a good outcome and to get what was agreed at the outset of the engagement. Leaders have to manage client expectations. Interestingly, we’ve found that it’s often not the client who expects the consultant to be available at all hours, but it is the expectations set by the Partners and by the firm’s ‘always-on’ culture – the prevailing belief that you need be available to your clients all day, every day. Most clients we speak to don’t need or expect professional advisors available 24 hours a day / 7 days a week. But if that’s what Partners tell them they’ll get at the outset of the engagement, then that’s what they’ll expect. What’s more, if Partners respond to emails 24 hours a day throughout the engagement and attend meetings at the drop of a hat, those working in the consulting firm have little choice but to follow their example and the ‘always-on’ culture proliferates. To rebalance the client/advisor relationship will require Partners and Managers to set their clients’ expectations at the outset of the project and to model the behaviours they want their team members to follow. The critical point is this: The behaviours of the firm’s leadership exemplify, legitimise and reinforce the behaviours that spread through the hierarchy. Leaders set the tone that permeates the organisation. 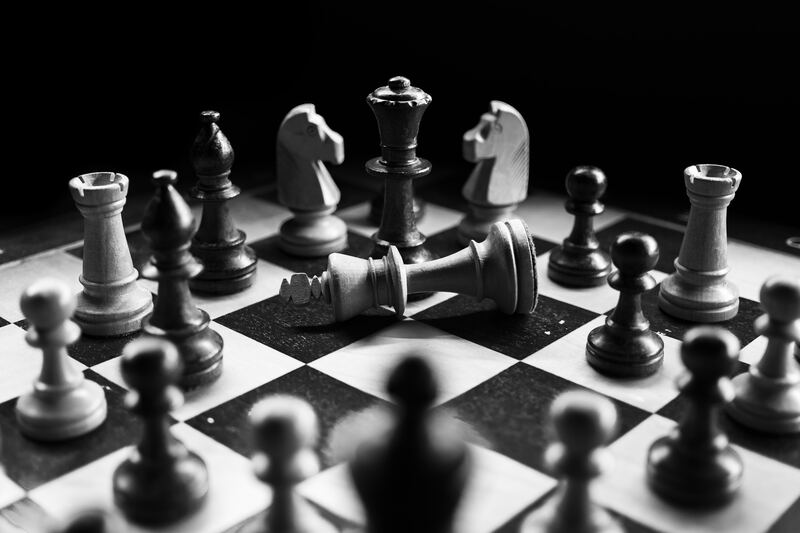 In order for the current ‘client is king’ situation to change, leaders of professional services firms will have to accept that there is a different way of working and model the new behaviours they want to see. We are under no illusion that this will easy and it will be particularly hard for senior consultants, Directors and Partners who have worked in the same way throughout their whole career. It is our belief that, when it comes to working with clients, many leaders in professional services firms are guided by the sunk cost fallacy. They have sacrificed so much to get to where they are, they are unwilling to accept that there might be a better way to work. They would rather continue to work in the way they’ve always done – even if the costs outweigh the benefits – because they want to “avoid feelings of regret” that they may have got it wrong themselves. It is also likely that the necessary behaviours required to illustrate equal status and be an ‘equal partner’ and will not come naturally – habits are hard to break – and will need to be learned at all levels of the firm before they can become the de facto way of working with clients. Until those at the top of professional services firms stop exhibiting ‘always-on’ behaviours – responding instantly or being available 24 hours a day – then it will be very hard to challenge the prevailing ‘always-on’ culture, because subordinate employees will have little choice but to ‘follow the leader’. We believe those firms who do adapt their culture by rebalancing the client/advisor relationship will find they have the pick of top talent in the industry, they have a more engaged, productive and satisfied workforce and rather than upsetting clients, they will produce better work and create more value for their clients – which is why the client engaged the firm in the first place. Reverence or regicide? You decide.